Description Avast! 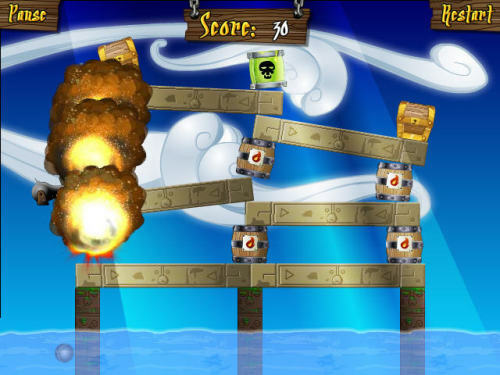 In this physics-based game, your goal is to send as many treasures as possible into the water with a single cannonball. Cap'n Karl will then pick them up with his mighty pirate crane. Don't spill toxic waste in the sea!